Yahoo! 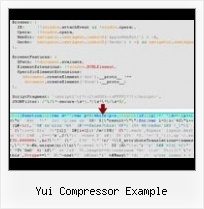 UI Library: YUI Compressor for .Net Can we make the output file name dependent on the file being compressed? For example, myfile.js -> myfile-min.js?